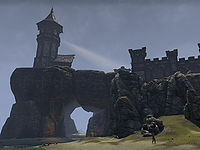 Northpoint was founded in the 9th century of the First Era by Captain Yric Flowdys, a Breton trader. He ran ships during the summer months around the northwest coast of Tamriel from Daggerfall to Solitude, and needed a safe and reliable anchorage at midpoint. 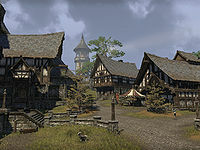 Northpoint is the primary city of House Dorell, located in northeastern Rivenspire. 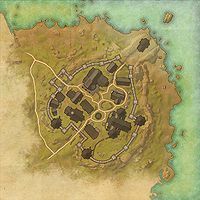 Northpoint Objective: Infiltrate the besieged city of Northpoint and set it free. 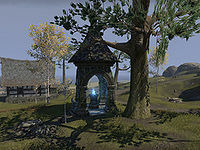 Northpoint Wayshrine is located outside the walls west of the city, south of Northsalt Village. This page was last modified on 18 February 2019, at 11:39.